SPF awards grants annually for a period of one to three years. The SPF budget cycle begins on April 1 and ends on March 31. All projects, regardless of the start date, should end in March, at which time the expenditure and narrative reports of the results should be submitted. Once an application has been submitted, it cannot be altered. 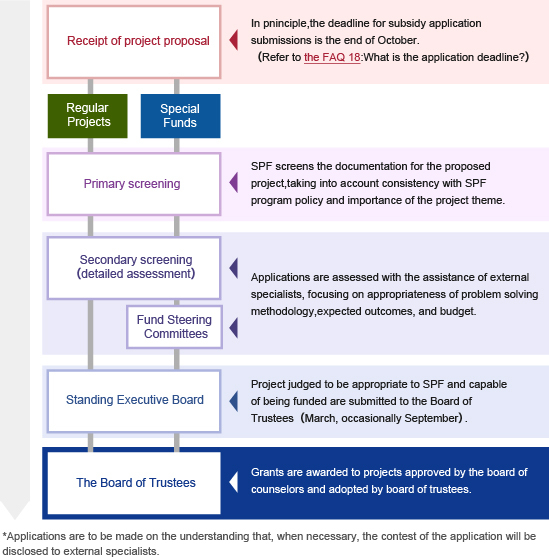 SPF cannot respond to inquiries about application results. Applications cannot be submitted online or by e-mail. Please do not deviate from the prescribed number of words or application format. Modified applications may not be accepted.